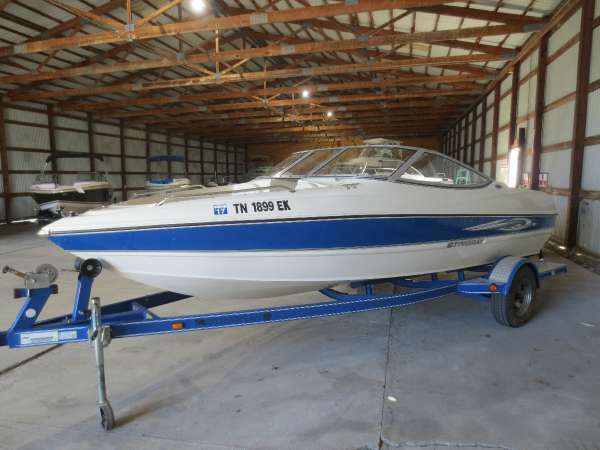 1992 Stingray 599 ZPX 1990 Stingray 599 ZPX with a Mercruiser 5.0,V8 Engine! 20' Cuddy Cabin. 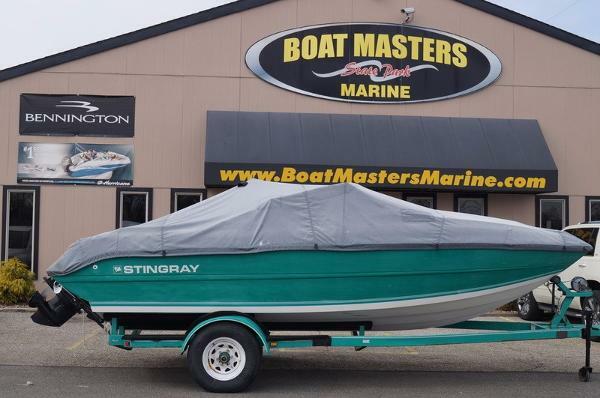 2014 Stingray 208 LR With just over 46 hours this boat is perfect for the seasoned boater looking for an amazing deal to the new boater looking to get on the water. Boat is packaged with a custom trailer with swing tongue and brakes, custom snap covers, depth finder, Mercruiser 4.3 MPI 220hp and more. With eight more inches of width in the cockpit than its predecessor there is extra space for you and your passengers to enjoy your time aboard comfortably. The added width also lends itself to the side entry walkway without sacrificing valuable bench seat or sundeck space. A pair of telescoping ladders, one in the bow and one on the transom swim platform, make for convenient boarding from the water or your favorite beach. 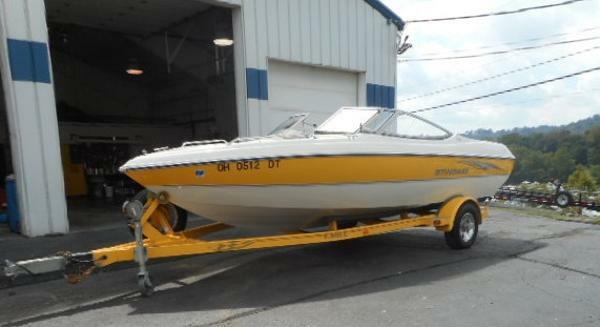 2003 Stingray 190LS Sunny yellow Stingray bowrider powered by Mercruiser 4.3L! 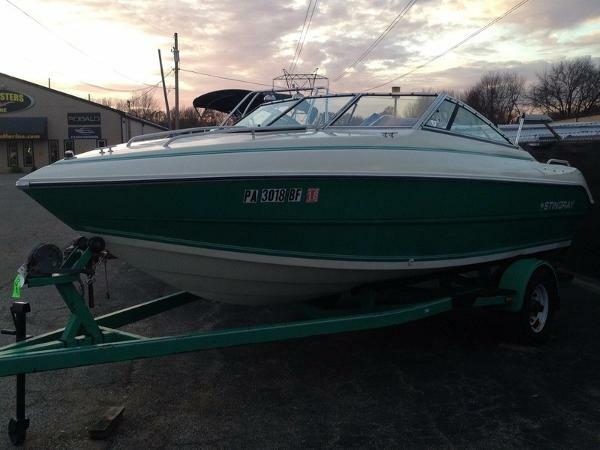 Includes captains bucket seat and back to back port seats, bow and cockpit cover, stereo with cd player, depth finder, and Eagle trailer with spare. 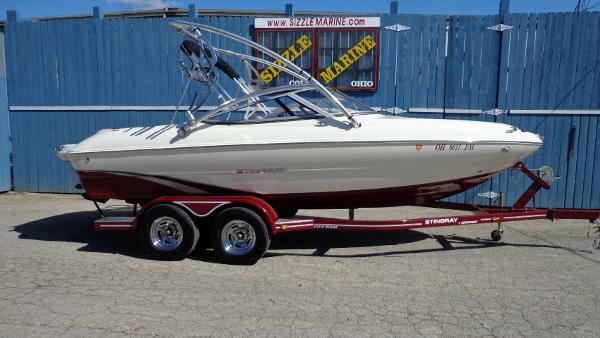 If you're looking for a nice, clean bowrider, this is it! Located in Cincinnati. All trades considered. 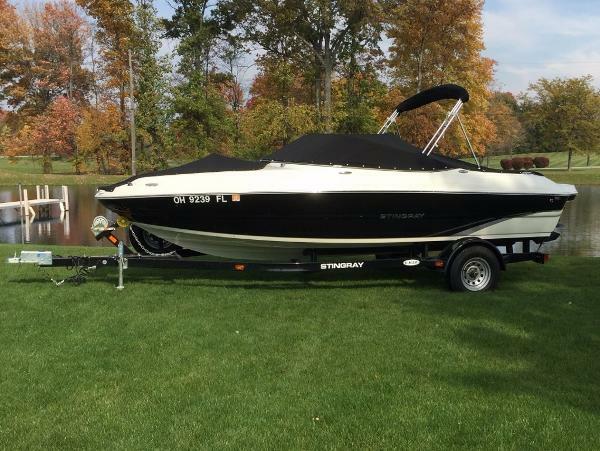 2008 Stingray 185LX The 185 LX bow rider has a Volvo 3.0 inboard/outboard engine with 130 horse power. Plus it comes with a Bimini, Bow/Cockpit Cover, Depth Gauge, Stereo and a Trailer so your able to take the Stingray on your getaways. Call today for more details. - Includes Trailer. 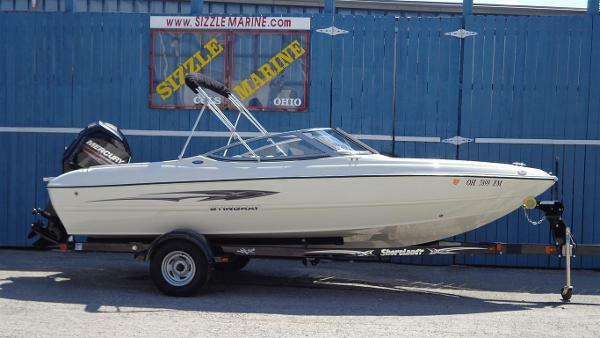 2009 Stingray 185LX The 185 LX bow rider has a Volvo 3.0 inboard/outboard engine. 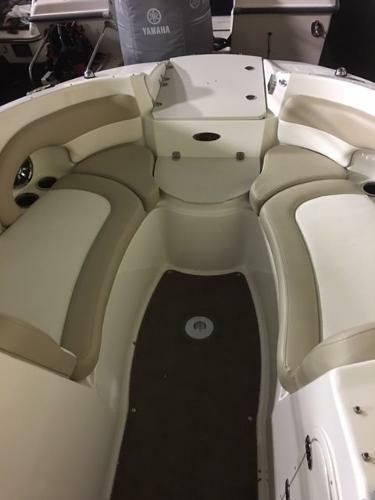 Plus it comes with a Bimini, Bow/Cockpit Cover, Depth Gauge, Stereo and a Trailer so your able to take the Stingray on your getaways. Call today for more details. - Includes Trailer. 2016 Stingray 225 RX 225 RX- New Model! Nearly 23' and unbeatable value for a Bow Rider. Includes Covers, Preferred Equipment Group, Dual Axle Trailer with Spare Tire. STINGRAY RX models usually lend the idea of an entry level boat, but there's nothing entry level about the 225RX. This sporty Rally model is built on the 225LR Sport Boat hull and refined to offer a modern sleek and clean look inside. Interior colors are a mix of black and tan, with black accents around the boat. The sleekness characteristic continues outside with clean lines and a simple color stripe, capped off by the signature STINGRAY logo amidships. This boat offers more than looks though. Crank this baby up and head out on the water where the real fun begins. Like STINGRAY's other models, the 225RX rides on its Z-plane hull for stellar performance and handling.